Considered to be the “second oldest church” in the whole of North India is a Catholic shrine known as Christ Church located in Himachal Pradesh. 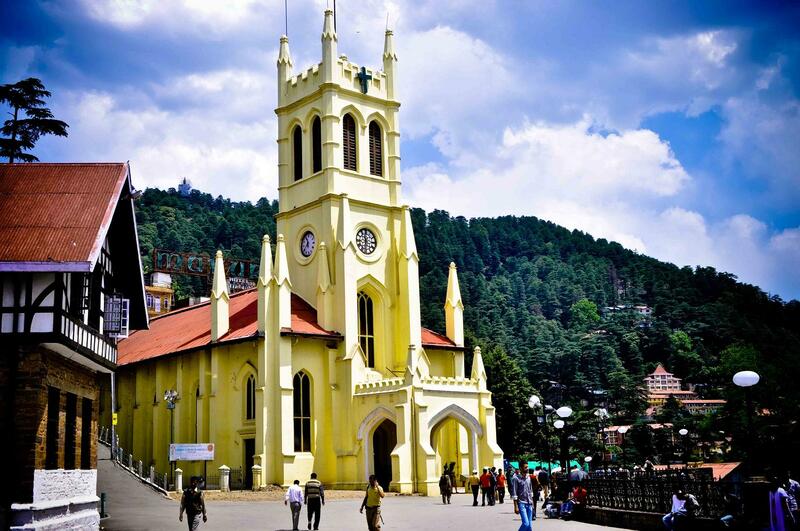 This church constructed using the “Neo-Gothic” style of architecture is situated in the city of Shimla, once the summer capital of the British Raj. Apparently, the first stone of this church was laid on 9th September 1844, and was finally sanctified on 10th January 1857 by a bishop. Furthermore, the fresco (a technique of mural painting) seen on the walls of this church was created using a design developed by Mr Lockwood Kipling, the father of famous novelist Rudyard Kipling. There are two routes from New Delhi to this church, and they are via NH44 and NH5 and via NH44. There are two routes from Chandigarh to this church, and they are via NH5, and SH16. There are three routes from Jalandhar to this church, and they are via NH5, via SH16, and via NH44 and NH5. There are two routes from Amritsar to this church, and they are via NH5 and via Grand Trunk Road and SH16. The closest airport domestic to this temple is located in Shimla. The Jubbarhatti Airport is well connected major cities in the country while, the nearest international airport is situated in New Delhi. The construction of this church first began on 9th September 1844 with the first stone being laid. The license for the church building then was obtained on the 11th October 1846 and was eventually sanctified by a bishop on 10th January 1857. This church is not attached to any religious significance or myths and is renowned for its magnificent architecture. Furthermore, the architecture used is essentially “Neo-Gothic” with the main building of this church measuring about 100 x 42 feet while, the tower of the church is about 90 feet in height. In addition, the architectural design of this church was developed by a renowned architect called Colonel J.T. Boileu.